To get a provisional licence you need a D1 driving licence application form which you can pick up from your local Post Office. You will need a passport sized photo as well. Alternatively you can go to www.Directgov.co.uk (you can use the DSA link on the 'me' page of this website). Then follow the links to apply online. You need to be 17 in order to drive on the public roads. You can apply for your licence a couple of months before your 17th birthday and it will become valid on that date then you can start straight away! 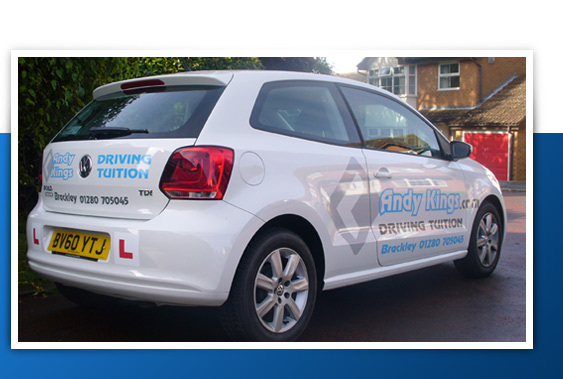 You don't need to have passed the theory test in order to start taking lessons. You do need to pass the theory/hazard test before you can book the actual driving test. It's worth checking your eyesight before starting to learn. The law says that you must be able to read a standard number plate from a distance of 20.5 metres, that's about 22/23 paces for the average person. If you need glasses or contact lenses to do so that's fine but you must always use them when driving. Also, get a copy of the 'Highway Code', essential reading for when you go on road. As I mention elsewhere on the website the Driving Standards Agency recommend that most successful test candidates will have had about 45 hours of lessons plus (if possible ) some private practice with parents, friends etc. The person accompanying a learner must be at least 21 years old and have held a clean licence for at least 3 years.